Alison was approached by Steven in Dec 2012 and asked to embroiderer the signature piece of his Autumn Winter 2013 collection. The image, an illustration by sci-fi illustrator Franco Brambrilla was to be interpreted in freehand machine embroidery by Alison. 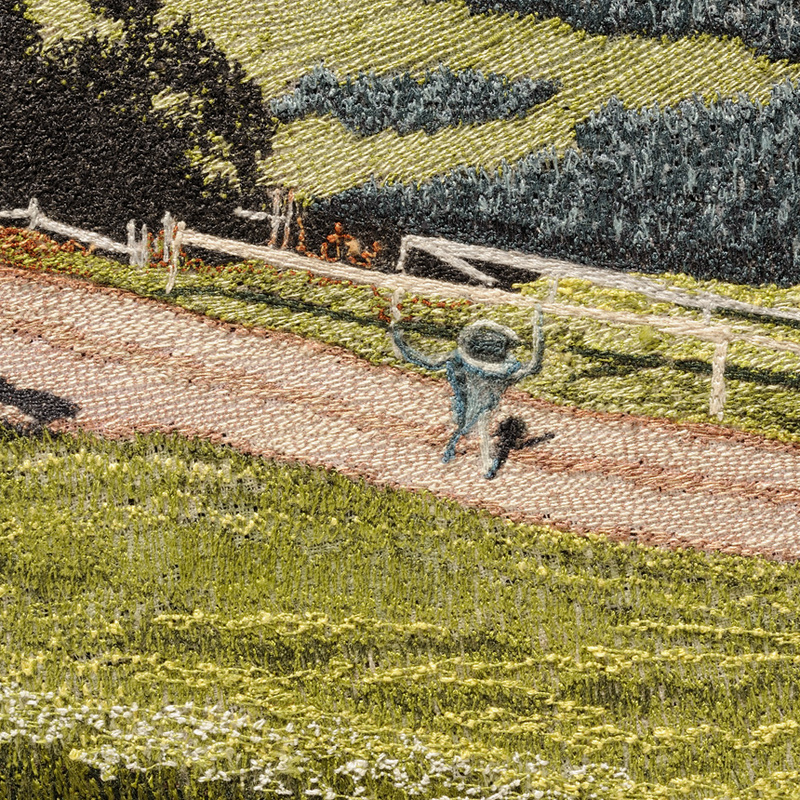 She has used 66 colours and over 1,100,000 stitches to create this wearable piece of art. This is the front of the garment and the thumbnails show sections of it in more detail and the finished garment.